A gothic tale of crime, loss and obsession set in Southern Alberta during World War II. After the grisly discovery of a womanʼs remains, the case is assigned to Corporal Jakob Shepherd, a first generation Canadian from a Austro-Hungarian family, who chose a career in law enforcement rather than continue on the family farm. As his reticent wife of 20 years grows increasingly distant, Jakob throws himself into the serpentine murder investigation, rather than deal with his decaying marriage and the loss of his son on the battlefield of Dieppe. 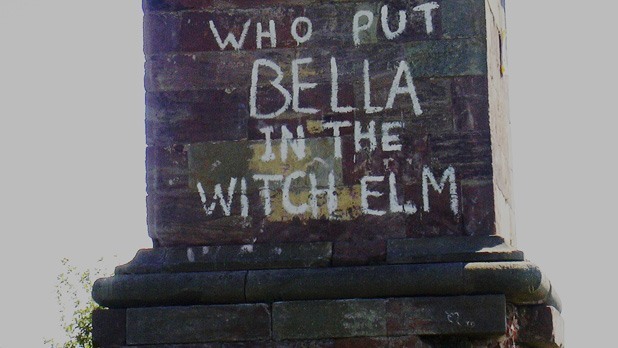 Painted graffiti begins to appear in the region: “Who put Bella in Black Creek?” taunting Jakob as the truth behind the mysterious murder continues to elude him. Jakob struggles to maintain his objectivity and soon risks sacrificing not only his job and his wife, but the very principles he has built his entire life upon.